Big yielding mainly indica hybrid, made from the finest we have! Our Cannabis cup winning Mt Cook was used in this cross together with a super ‘Hash plant’ male renowned for its high THC content. Super quick flowering times and huge yields of quality flowers can be expected. The short stature of this plant makes it just perfect for small spaces, tents, or scrog technique. Cuttings can be put into flower (12 hours light/12 hours dark) as soon as they’ve been rooted a week. Now available, the best of these genetics in Regular seeds, what better way to make the ideal strain than breeding the best of the best into your favourite variety? That is now possible thanks to our strains being available in Regular seeds too! 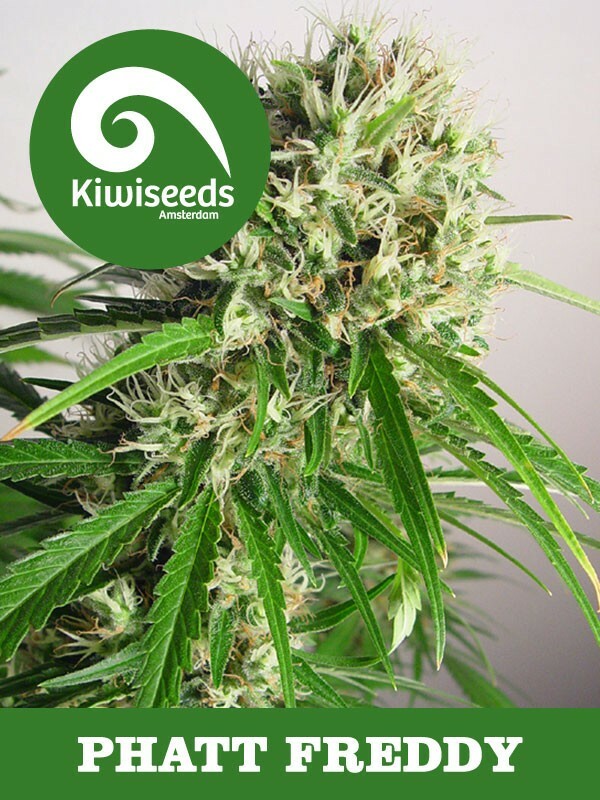 Phat Freddy was Kiwiseeds entry in the 2011 High Times Cannabis Cup in Amsterdam. Now available, the best of these genetics in Regular seeds, what better way to make the ideal strain than breeding the best of the best into your favourite variety? That is now possible thanks to our strains being available in Regular seeds too!